Think back to the mid 1900’s when the United States was beginning to develop standardized building materials that were readily available nationwide. This standardization of building materials was a response to the development of new technologies and transportation. Before the late 1960’s, materials such as lumber came in varying sizes based on their region. This was before the standardization of the 2x4 where every piece would eventually be cut to the same size. In the early 1900’s, kit houses (A.K.A. 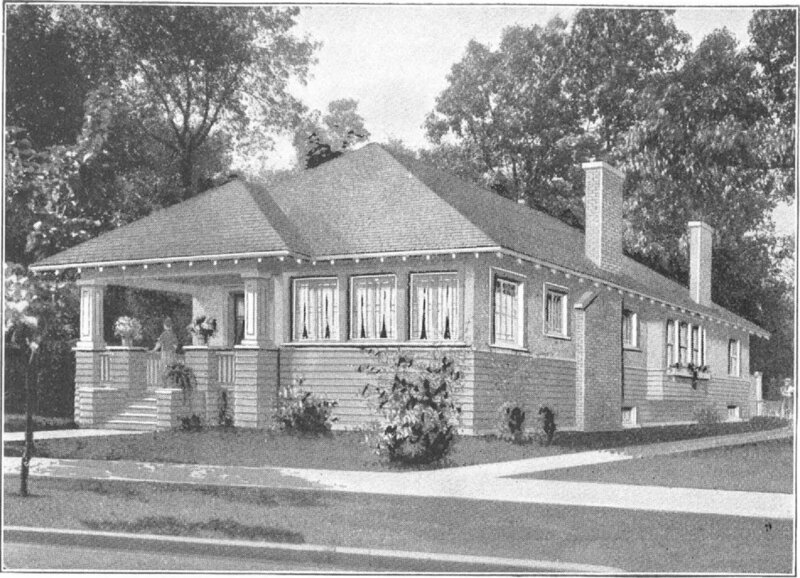 catalog homes) were being developed and became popular in the USA. These kit houses sold simple home designs to people who were looking to build their home. After going through a catalog and selecting the house that the person wanted, they would have options for upgrading with different features and materials. Once the purchase was made, the kit would be delivered to the site and construction would begin. Well, at least that’s how I imagine it worked. When the materials were ready to ship to the site, they would be loaded onto railroad boxcars and sent to the customer where either a local carpenter would be contracted to assemble the house or the family would do it themselves. Due to this method of a manufacturer providing all of the necessary materials for assembling the house, the materials were generally less expensive than purchasing the materials directly from sawmills and figuring out how to design and construct the home. During the mid-1900’s, more railroads were constructed and the lumber industry continued to grow. This meant that transporting materials around the country was possible and finally, the 2x4 was standardized along with other building materials. This meant that people were able to purchase the abundance of materials at a lower cost and build their homes. Throughout the early to mid-1900’s, the catalog home companies continued to design and provide these kits to their customers. Some of these companies also decided not to distribute the materials, but instead, they provided the plans and perhaps some or none of the materials. Owners would be able to take the plans, follow the details for the primary structure, but modify the finishes to their liking. In these instances, the owners either worked with their carpenter or did it all on their own. As you can start to see, my focus for the next project in my 30x30 series will be a housing prototype that uses the early catalog homes as a precedent. This will be an interesting project for me to pursue because I used to think that designing houses as a product that can be mass produced and built in the same state and climatic region was a terrible idea. I’m sure there are other architects out there who believe that architecture should be uniquely designed to suit their client and context. However, as I thought about our profession and the housing typology around the USA, I quickly realized if architects don’t start getting into this area of the building industry, it will always be led by developers and builders who view it as a business, not as a design solution. Don’t get me wrong, there are lots of fantastic developers and builders out there who are making a positive impact on the communities where they’re building. As architects, we need to start moving towards this business model of mass producing housing and other building typologies with a focus on bettering society and the world. We need to look at the affordability of the architecture that we’re designing and building in our communities and cater towards people from all financial backgrounds. Perhaps this is the way to bridge the gap between our design fees and a majority of the population. As I start brainstorming this project, I’ll be narrowing down my ideas further and researching two areas of housing; catalog/builder homes and low cost modular homes. In essence, I’d like to learn more about where our building industry is currently in the 21st century in terms of today’s standardized building materials and figure out how they can be used to create a catalog home of the 21st century. Like all of my projects, research is important to finding the right path that inspires me to design.